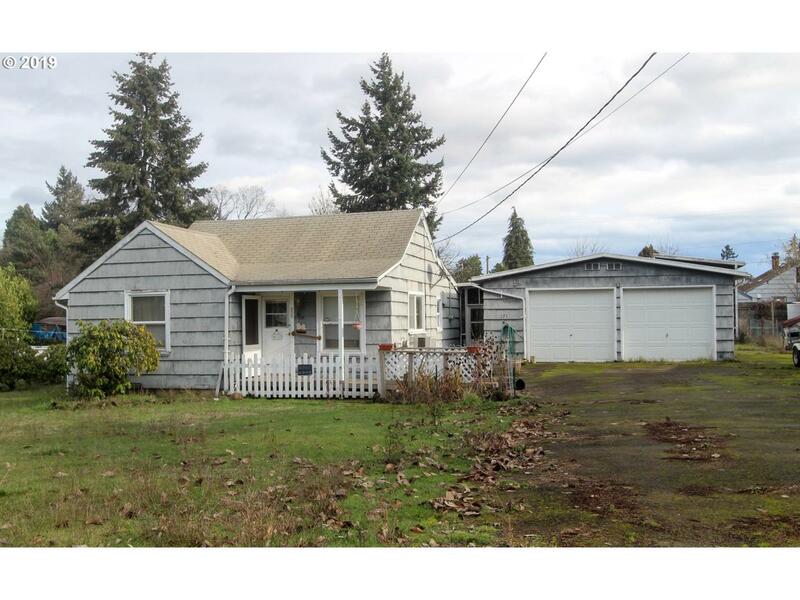 2bd/1ba home with covered outdoor porch and huge 2 car garage sits on a large private lot. Shop and covered RV parking is a large bonus. Newer floors in living room & kitchen. Large open kitchen and great separation of bedrooms. Master bedroom is huge with exit to back yard. Hardwood floors in 2nd bedroom Needs some work.